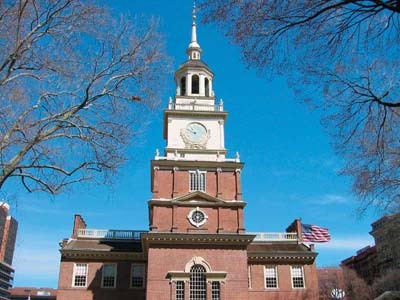 Construction of the Independence Hall was started in 1732 and completed in in 1753 after the design of Edmund Woolley and Andrew Hamilton. It was built as a colonial legislature for the Province of Pennsylvania, but it also housed the province's government. It is most known as the site for debate and adoption of the Declaration of Independence and the United States Constitution. It was also the building where the Liberty Bell originally resided. In 1948 the building's interior was restored to it's original state. The old building is now listed as a UNESCO World Heritage Site, and is part of Independence National Historical Park.